Select the recipe block on click on the edit icon in the top left. You can edit a recipe by clicking on the Preview in the Visual Editor. 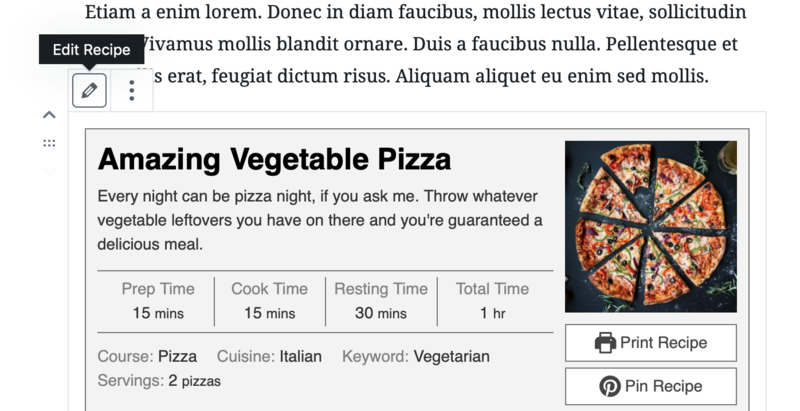 Another option is to click on the "WP Recipe Maker" button on top and use "Edit Recipe" on the left to edit any recipe you want. 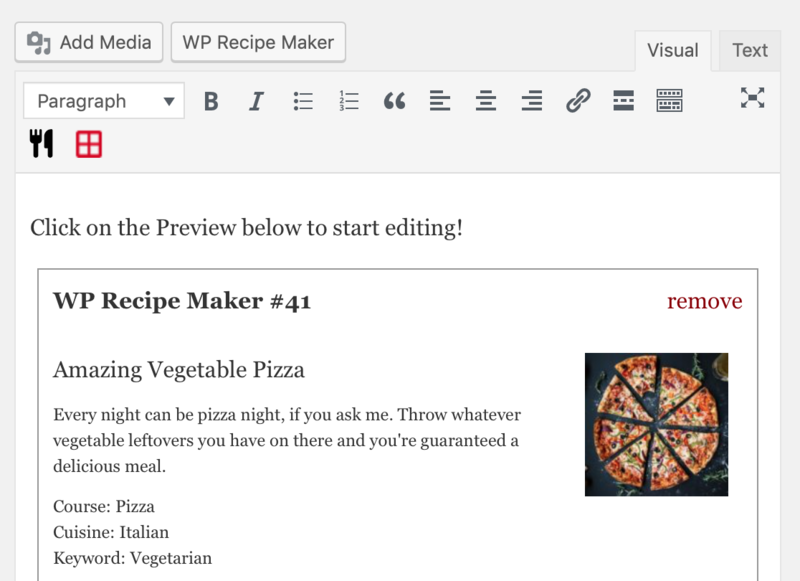 On the WP Recipe Maker > Manage page, hover over the icon and use the "Edit Recipe" option to edit any recipe you want. To speed things up, you can even just click on the SEO indicator to start editing.